24 hour payday loans are facilities designed for salary earners to enable them source funds to meet their immediate and emergency cash challenge at any point in time. There’re no many financial institutions or credit issuing agencies who will in most cases make these kind of funds readily available, as it’s termed soft loan. The core benefits of 24 hour payday loans is that they enable you leverage on funds especially when in need to pay your children school fees, settle your tenancy, hospital bills etc, provided you’re an employee you can access this loan. Like the name sounds, Payday loan is a loan that it’s repayment is usually done immediately your salary is being credited to your account for the month which the loan is being streamlined. There’re however regulatory and non-regulatory institutions who have maintained a track record in disbursement of this payday loan, for the purpose of this guide, I will take you by the hands and show you the most effective 24 hour payday loans available, to help you attain to your urgent financial needs. WHERE CAN I ACCESS 24 HOUR PAYDAY LOANS? Creditville Limited’s payday loan is a quick loan product designed for salary earners and offers in the neighborhood of N200,000 and N2,000,000 to its borrowers to meet their urgent financial needs. To even think that they offer this facility without collateral makes it even far appetizing, they have a repayment schedule that run for up to 12 months. As expected, the repayment is targeted at your payday which can be remitted through direct debit, cheque deposit and online payment. You will have to provide a suitable guarantor in place, who has to be a staff of any commercial bank in Nigeria, a senior management staff of a blue chip company or a senior civil servant from grade level 14 and above. One passport photograph each from the borrower and the guarantor. Your copy of work place ID card. Copy of your Guarantor’s work place ID card. Postdated NUBAN Cheques from client. One blank undated NUBAN Cheque from Guarantor. Your last six months’ salary current account statement duly stamped. Copy of letter of employment or confirmation of employment. I can here you complaining and murmuring about the requirements and how it’s just so suffocating, in reality you can easily produce these requirements than hand over documents of fixed assets you may not have as collateral. Speed delivery, your account can be credited within 24 hours after meeting the outlined conditions and documentations. Flexible, you have an option to repay your loan in full, at any time without any penalty attached, you could also apply for a Top-up. No hidden charges, their interest charges are all inclusive, they ensure transparency without hidden admin charges. Courtesy, they have good and qualified trained staff who treat you well professionally at all times. To access your 24 hour payday loans with Creditville Limited, contact any of the above mentioned address, phone number and emails depending on your location. Visit their website on https://www.creditville-ng.org and start your loan application immediately. Salary advance is a good payday loan processor you can rely on in Nigeria to access your loans for immediate challenges as mentioned above. They issue the following types of loans considered to be very flexible. Salary advance: This loan is targeted at bridging the funding gaps for full-time employees of corporate entities such as commercial banks, Oil and Gas companies, Telecommunication companies etc. The loan-able amount is subject to the beneficiary’s monthly salary. To qualify for this loan you will have to: Live and be employed in Lagos state, be a confirmed staff of a reputable company, you must have a verified monthly income paid into a current account with a commercial bank in Nigeria. It has a repayment period between 6-15 months, upon receipt of necessary documentations your account will be credited within 24 hours. Last six months’ salary statement which contains last six salary entries signed by the bank. A copy of employment letter or confirmation/recent promotion letter. One recent passport photograph and a copy of staff ID card. More so, to access salary advance 24 hour payday loans you must be living and working in Lagos state with any of the mentioned preferred employers. Effective online direct lenders. Back to School: This scheme is designed to help parents who have stretched their budgets during school resumption period. It is as well for salaried parents. Last six months bank statement showing the last six salary entries. Upon receipt of requirements and completion of documentation, account is credited within 24 hours. Pay my rent: It’s a finance assistance designed for people in paid employment as well, this gives room to access facility for payment of rent. To apply for any of these packages kindly visit https://www.salaryadvanceng.com start the process and get your loan disbursed almost immediately copy the above link address into your browser if you can’t launch from here. Email: hello@salaryadvanceng.com Phone: 0703 369 0590, 0903 741 4749. 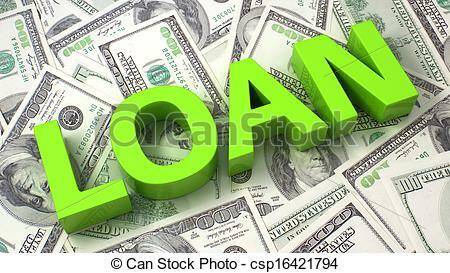 This is an instant loan product for salary earners. With this 24 hour payday loans you can borrow money at low interest rate against your next payday/salary. You can request for a Payday loan by dialing *901*11# on your registered mobile phone with the bank if you’re a customer. You can as well visit any of the Access Bank ATMs or download the Quickbucks application from your mobile device. It has a 31 days repayment cycle usually targeted at your payday/salary. An account will be opened for you automatically as part of the loan request. Kindly walk into any Access bank branches nationwide and first of all open an account as part of the process, then demand for a payday loan thereafter, which should be disbursed to you as soon as all requirements are intact and processed. https://www.accessbankplc.com for further clarity. 24 hour payday loans are one stop point for your emergency cash needs in Nigeria, they are very effective and flexible schemes without hidden charges, you don’t really have to wait for your salary anymore. Are there other payday loans not mentioned here you think should make this list, kindly recommend them using the comment box below.